1. Your revocable living trust in Florida can protect your disabled beneficiaries. Under the current social security and Medicaid rules, if a disabled person who is receiving need based disability benefits (SSI), they can be disqualified if they suddenly are offered an inheritance. In fact, even if the decide to turn down (or disclaim) the inheritance, they still can be penalized and lose SSI benefits for a period of time depending upon how large the inheritance share was. However, a properly drafted revocable living trust can include a Florida special needs trust by adding “special needs” or “supplemental needs” trust language in it and this can provide a way for that disabled person to RECEIVE the inheritance in a separate account AND utilize the funds for “non-Medicaid” covered needs WHILE still continuing to collect the benefits. 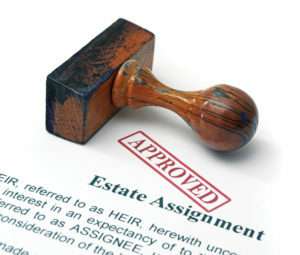 Also, if the disabled person is an adult dependent living in your home, such as an adult child or aging parent, your revocable living trust should address what would happen to this individual in the event of the estate holder’s death and a “lifetime interest” in certain trust assets can be arranged. 2. Your Florida revocable living trust can allow your trustee to manage federal estate tax issues. If your “gross estate” is over a certain size then it may be exposed to the federal estate tax or death tax. This “exposure” is nothing to take lightly as it averages around 45% of the amount owed and usually needs to be paid within 9 months of the estate owner’s death. This tax has put many a family business OUT of business. A properly prepared revocable living trust can be designed minimize estate taxes, particularly where a couple is married and an A-B trust strategy is adopted or other charitable giving strategies, such as a charitable lead trust, are included in the trust. The key is that the revocable living trust can provide tools for the trustee to allocate the estate into various buckets that are tax advantaged. 3. Your revocable living trust in Florida can protect your children born from a first marriage. A revocable living trust may be utilized to make sure that the children of the first marriage are provided for by either placing assets in a separate trust only controlled by the biological parent or limiting a second spouse’s right to change or cancel a joint revocable trust upon the biological parent’s death. In truth, second marriages are hotbeds for legal battles because it is all too common for a second spouse to clash with the biological children from the first marriage. It this is a potential concern, the revocable living trust can AND should manage this scenario by spelling out what the surviving spouse can and cannot do. One option in a Florida revocable living trust is to include what we call an “elective share trust” for the surviving spouse. This tool essentially prevents the surviving spouse from trying to override the trust at the expense of the children from the first marriage. For this reason, an extremely important part of your Florida revocable living trust plan may be an elective share trust in Florida. 4. Your Florida revocable living trust can protect your BENEFICIARIES from creditor attacks. You may be aware that revocable trust asset protection does NOT extend to the trustmaker. However, a revocable living trust may be used to offer creditor protection for beneficiaries following the trustmaker’s death. The reason for this difference is when the trustmaker of a revocable living trust dies, the revocable living trust becomes irrevocable and thus becomes asset protected against creditors seeking to attach judgments and/or liens. 5. Your revocable living trust in Florida can be a useful Medicaid planning tool. When legal novices decide to moonlight in estate planning, they often forget about pre-Medicaid and elder law planning issues. I’ve often written about this issue because the planning goals for long term medical care often conflict with other estate planning concerns. For example, if an aging couple has a large estate, the attorney or accountant may recommend “gifting” to younger beneficiaries as a way to reduce the estate and limit exposure to estate taxes. This is mostly sound advice under the current tax laws, because you can gift $14,000 per beneficiary without any gift tax ramifications. However, under Medicaid rules, gifting includes a 5-year lookback and the possibility of penalties for doing it. Of course, one may object and say that most people who are gifting to limit estate taxes may not be Medicaid candidates. Again, a mostly sound objection; however, because the Medicaid laws in Florida allow someone the ability to transfer all assets to a well spouse without penalties AND THEN elect a refusal of support…the failure to consider Florida Medicaid planning can be a costly mistake. When transfers to a well spouse are made, your revocable living trust, combined with other tools such as a Florida Medicaid Will, can include conditions to make sure that the spouse on Medicaid is not disqualified. This is done through provisions such as an “elective share trust for Medicaid planning”. The important thing to remember is that all these strategies are not considered in your basic online forms and must be implemented by an experienced licensed Florida estate planning attorney.